Barton Bendish is a village in the district of King's Lynn and West Norfolk and located about 12 kilometres to the east of Downham Market. Marham is located about 4 kilometres further to the north. The Domesday Book lists the name of the village as Bertuna and until 1787 this relatively small parish was served by three churches, two of which - St Mary's and St Andrew's - remain. During the 12th century a number of small manors in the area were acquired by the Lovell family who settled in the parish and built the Great Hall. The present (Grade II listed) Barton Hall is late 16th century in origin and was remodelled and enlarged in 1856 by James and Turner of Norwich. Since 1992, the 4,500-acre estate is owned by Luca Rinaldo Contardo Padulli, an Italian count, investor and philanthropist. In 1999, Barton Bendish was designated a NASA EOS Land Validation Core Site and it is also one of the MODIS Land (MODLAND) Team Core Sites - Link . The field site has reportedly since been extensively used for preparatory and validation campaigns for optical EO sensors by researchers at UCL and Swansea University, with the main research focusing on the development and testing of algorithms for global monitoring, aimed at global and regional short-wave energy budget studies. The area is described as being particularly suitable for EO studies because of the flat topography and its advantage of being heterogeneous at moderate resolutions with a limited number of land cover types contained within well-defined parcels (fields). During WW2, a landing ground was established and maintained for the duration of almost three years in the crop fields to the south of the village. Alan Quadling, who has lived in Eastmoor all his life, recalls his astonishment when, on his return home after a week-long stay at his grandmother's house, he was greeted by a hive of activity in the crop field across the road, which, as he later found out, the MoD had requisitioned from Eastmoor Manor. Soldiers were busy levelling out any surface irregularities, and a tented camp had sprung up in another crop field behind his house. The camp presumably housed the construction crews, as it disappeared after the construction was complete. RAF Barton Bendish - also known as Eastmoor Landing Ground because it was located in the hamlet known as Eastmoor in the south of the parish and once a large outlying settlement with two mansions and a non-parochial chapel - was a Category A airfield and opened on 2 September 1939 as a satellite station for nearby RAF Marham, since at the outbreak of WW2 it was considered important for all bomber stations to have at least one satellite airfield. The landing ground had the code X1BB, covered an area of about 340 acres and was situated on a gentle slope which at its lowest level, in the south, lies 10 metres and at its highest, northern boundary, 25 metres above mean sea level (AMSL). Its runways are reported to have been unpaved. There would however not seem to have been any fixed runways, but rather a large grassed-over area, with the grass always kept very short and thus allowing pilots to take off and land in virtually any wind direction. Wartime aerodromes with concrete runways always had several, frequently intersecting in an A-shape, and the one most closely aligned with the prevailing wind direction was designated the main runway. Although modern aircraft are much better equipped to cope with cross-wind landings it is still advantageous to take-off and land into the wind. Two F22-type pillboxes guarded the northern perimeter. They are still in place and in good condition, beside a farm road doubling as a public footpath, one near the north-eastern and the other near the north-western edge of the flying field. 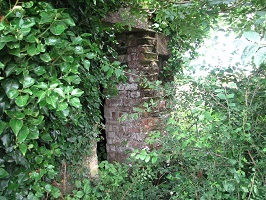 The western pillbox is however so overgrown with ivy that it can hardly be seen at all even when standing right next to it. For some time a portable pillbox - a Bison mobile pillbox on a truck > Link - stood beside Eastmoor Road, a few hundred metres south of the airfield's northern boundary. Bisons were produced during the invasion crisis of 1940/41, primarily for the defence of RAF aerodromes, but are known to have also been used by the Home Guard. Because of their weight, poor radiator cooling and poor driver situational awareness, Bisons were commonly towed into position, and Eastmoor resident Alan Quadling indeed remembers with remarkable clarity even after all this time that the specimen beside Eastmoor Road was too heavy for the truck's chassis and ended up static on the edge of a field. The Bison mobile pillbox is named after its inventor, Charles Bernard Mathews, a director of Concrete Limited, whose company trademark was a bison (American buffalo). Helped by his commercial partner, John Goldwell Ambrose, who had been in the Royal Engineers, Mathews acquired suitable lorry chassis, onto which his precast concrete pillboxes were then placed. Bisons were made in three distinct types. Type 1 comprised a fully armoured cab and a small armoured fighting compartment roofed with canvas. Type 2 consisted of an armoured cab with a canvas roof and a separate, fully enclosed, fighting compartment resembling a small pillbox on the back. Type 3, the largest and heaviest, consisted of a contiguous cabin and fighting compartment completely enclosed in concrete armour. The concrete mobile pillboxes received significant publicity at the time and were featured in The Times and in the Commercial Motor magazine. Estimates as to how many were produced vary between two and three hundred, and due to the resilience of concrete traces of some of them remain today. Only a few have survived intact. In the early years of the war, a number of Hawker Hurricanes of No 56 Operational Training Unit based at Sutton Bridge were from time to time dispersed at Barton Bendish, and from September 1939 onwards about a dozen Wellington bomber aircraft of Nos 38, 115 and 218 squadrons, reportedly refuelled and rearmed at Marham, were also deployed there. The aircraft are reported to have been concealed by moving them, tails first, under the trees growing on the edge of a copse immediately to the south of a location marked on maps as Field Barn, where two cottages used to stand within living memory, according to information published on the Barton Bendish village history page. Both cottages were inhabited throughout the war including the time when the airfield was operational. Only two hardstandings remain at this location, of the cottages there is no trace. A triangulation pillar situated within the copse appears to also have been removed during or after the war, as it is no longer shown on post-war maps and there is no trace of it on the ground either. Further west along the airfield's northern boundary, by the junction with a track leading south to The Channels and north to Hill Farm, stood the landing ground's aviation fuel tank, protected by several layers of sandbags. This tank is said to have later been buried at another location in an effort to keep it out of harm's way. By early 1940, four Wellingtons of the New Zealand Wellington bomber flight were also deployed at Barton Bendish, and local resident Alan Quadling, a boy at the time, still speaks with great enthusiasm about the day he observed a Wellington bearing the New Zealand Flight insignia starting up and revving its engines right outside his house, which is located just across the road from the landing ground. The four aircraft belonged to No 75 (NZ) Squadron RAF based at Feltwell, a station in No 3 Group. No 75 (NZ) Squadron was the first Commonwealth squadron to be formed in Bomber Command and took part in the early bombing offensive against enemy-occupied territories. 38 Squadron departed Marham for RAF Shallufa in Egypt in November 1940. From June until September 1941, detachments of Nos 26 and 268 (Army Cooperation) Squadrons were stationed at Barton Bendish, flying Curtiss Tomahawk IIa (one of several Curtiss P-40 Warhawk variants) low-level reconnaissance aircraft as well as several Westland Lysanders. Inadequate as a fighter, the Curtis Tomahawks were used for low-level reconnaissance with a greater chance of survival than the multi-purpose Lysanders, and in October 1941 missions over northern France began to be flown. When in June 1943, 268 Squadron joined the newly-formed RAF Second Tactical Air Force in preparation for the invasion of Europe, they were replaced by No 218 Conversion Flight, equipped with Wellingtons. The 218 Conversion Flight formed part of No 218 Squadron (Gold Coast - the first Pathfinder Force squadron to be stationed at Downham Market) and was based at Barton Bendish until transferred to Oakington in Cambridgeshire on 2 October 1942 to join No 1657 Conversion Unit. The pictures below show views across the landing ground taken from some of the footpaths skirting it. Most wartime operational airfields in the UK did have some form of permanent electric lighting, whereas the lighting used on satellite stations and emergency landing grounds was more often than not of the portable and temporary kind. There is no official record of the type of lighting used at the landing ground at Eastmoor, which was not in every-day use, but in all probability it consisted of a portable flare-path. Alan Quadling, who witnessed a number of landings at dusk and in the semi-darkness just before nightfall (but apparently never when it was fully dark), recalls seeing soldiers carrying cables and lights, which he describes as having been quite dim, and arranging these in long lines before an expected landing. There were several types of portable airfield lighting, all assisting and guiding pilots coming in to land. The so-called Q Flarepath was powered by a 1.5kW generator and comprised a number of lights and cabling, four totem poles, an angle-of-approach indicator and a number of obstruction lights. The Controllable Glim Flarepath was powered by two 24-volt batteries and consisted of 21 glim lamps and four totem poles. The Upavon Flarepath comprised a number of modified 5-gallon oil drums, each containing a 60-watt lamp, and was used in conjunction with a mobile floodlight which provided the power. Gooseneck flares were also commonly used at night. They are named after the long-necked spout of a container resembling a watering can, with the main body containing paraffin and a wick placed in the spout, and were positioned at intervals along the runway edge, with the spout turned downwind to prevent flaring when alight. Gooseneck flares produced a bright light but were very difficult to extinguish. Judging by Alan's description of what he had observed, the most likely type of lighting used at Eastmoor would seem to have been the Controllable Glim Flarepath. Three Pickett Hamilton Forts (hydraulic pillboxes) formed part of the landing ground's defences. Most wartime airfields were also equipped with a Battle Headquarters (BHQ), where the defence of the aerodrome could be coordinated in the event of an attack. Satellite stations and training fields did have their own version which differed slightly from the design used on operational stations. 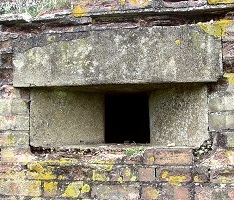 The 1941 design comprised a 1.80m (6ft) square observation post situated about one metre (3ft) above ground and a 360 degree viewing slit, with a small building comprising an office, sleeping quarters and a latrine underneath it, either fully underground or with earth banking on all sides for protection and camouflage. BHQs were sited in agreement with the local army authority and commonly constructed on high ground, in a hedge or close to farm buildings, always taking into account the terrain. It is not known if the Barton Bendish landing ground had a BHQ; if so, it has never been located. Ernie Percival, octogenarian and lifetime resident of Barton Bendish, recalls having played in the hydraulic pillboxes together with other village boys after the closure of the airfield, apparently having a great time raising the structures to maximum height above ground level, climbing onto the roof, and then lowering them back into the ground again. Alan Quadling, one of Ernie's friends and playmates and 12 years young at the time, confirms this and also recalls that at least one of the three was partially flooded by then. Alan, who has an encyclopedic memory concerning details of all the aircraft that ever landed at Barton Bendish, also remembers a Bofors anti-aircraft gun emplacement having been situated on the northern edge of the landing ground between the western pillbox and Field Barn. Ernie recalls a Bofors emplacement further to the north on the edge of the village. Norfolk Heritage (NHER) has documented the latter location as having been immediately adjacent to the north-west of Hill Farm, by the corner where Beachamwell and Boughton Long roads meet. During the war this used to be a small field; today it is a paddock. No trace remains of the gun emplacements, which were dismantled after the landing ground was abandoned. Ernie and Alan also remember several air raid shelters in the vicinity, one of which having been located near Field Barn, and that an overgrown mound of earth still marks its location. Richard Bailey of Albanwise Ltd and manager of Hill Farm, whose land this is, accurately recalls the location of this air raid shelter. A second air raid shelter was located in a small field, a paddock today, south-east of the gun emplacement at Hill Farm. A third air raid shelter was situated on the edge of a field beside Middle Drove, south-west of Field Barn. Richard Bailey, who has been working at Hill Farm since 1995, does not recall ever having seen the air raid shelter on the farm, of which no trace remains, nor had he been aware of a gun emplacement having been situated adjacent to it during the war. Andrew Rogerson from Norfolk Heritage has however seen and recorded both the location of this gun emplacement and also the nearby air raid shelter, which was apparently still in place in 1990, although he would seem to have had a problem identifying the latter, as he records having seen "something like a bunker or an air raid shelter". The shelter near Field Barn was never recorded, and neither was the shelter beside Middle Drove, at least not as an air raid shelter. Intriguingly, a "huge underground bunker, probably from World War Two" has been documented by NHER. The structure is also referred to, on the same page, as an "Underground Military Headquarters" - one wonders why a military headquarters would have been sited in one of the most isolated areas of rural Norfolk and on the edge of an RAF landing ground, of all places. The source of this information is the aforementioned Andrew Rogerson, one of the Norfolk Archaeological Unit's (NAU) archaeologists. His record dates from May 1990, when archaeological fieldwork was carried out on part of the former landing ground. The area explored by the archaeologists measured about 100 square metres, and the mysterious "bunker" was located within it. Andrew Rogerson, who is still with NHER, is unfortunately unable to recall any details and remembers only that he saw the exterior briefly and the interior not at all - which makes one wonder how the size of the structure was assessed when its supposedly underground, and hence hidden, interior was never seen. In any case, no official report has ever been written and neither is there any trace of a "bunker" or of anything else at this location today. A structure of some sort can however clearly be seen on aerial views taken by the RAF on 3 January and again on 9 July 1946, suggesting that not all of it would appear to have been underground. It was situated on the edge of a field beside a farm road locally known as Middle Drove, about 400 metres south-east of a modern concrete hardstanding by the junction once known as Gent's Cross. Alan Quadling took one look at the location and then explained that this was where an air raid shelter had stood during the war. For some reason NHER's man in the field, who had a problem correctly identifying the shelter's twin at Hill Farm apparently concluded, after having taken a brief look at the structure's exposed top, that it must be "huge" and a "bunker", and subsequently, erroneously, documented it as such. Standard WW2 airfield air raid shelters provided room for approximately 50 people and were not exactly "huge", but, together with a variety of other military structures of many shapes and sizes, none of which being technically bunkers, they are frequently referred to as "bunkers". Why the shelter was described as being "huge" without ever having seen inside it remains a mystery. All three air raid shelters have long since been demolished and can hence no longer be seen or photographed. Standard WW2 airfield air raid shelters are documented to have been made from cast concrete or from prefabricated concrete elements bolted together. Various types are depicted below. The defence of the landing ground was the responsibility of an Army unit from the Bedfordshire & Hertfordshire Regiment which was later replaced by a unit from the Welsh Regiment. The soldiers were housed in two Nissen huts situated at the south-eastern corner of the airfield, opposite a short row of cottages by the junction of Eastmoor Road and a farm track leading to what at the time used to be a complex of barns, now converted to a private dwelling called The Moorsheds. In the 17th century this area was known as Hallhyrne Bottom and, where the Moorsheds now stand, as The Lowe, because it is only 9 and 8 metres AMSL, respectively. The huts stood beside the farm road and can clearly be discerned in aerial views taken by the RAF in 1946. Several Nissen huts were also located at the opposite corner of the landing ground, in the corner of a crop field adjacent to Hill Farm, and presumably housed the soldiers tasked with operating the Bofors guns in the vicinity. Although Eastmoor would not appear to have been very busy at any time during the few years it was operational, and its main use apparently was to safely deploy aircraft that were stood down from operations in case they should be bombed on the ground at Marham, a number of accidents are documented to have happened. A fatal crash occurred on 5 November 1939, when during overcast and wet weather the 38 Squadron crews flew their aircraft the few miles from Marham to Barton Bendish at a low level. 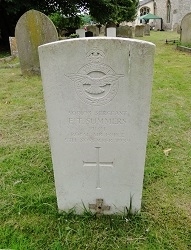 One of the Wellingtons (L4239), piloted by Sergeant ET 'Slim' Summers, described as one of the squadron's most experienced pilots, struck a tree and crashed into a corn field near Field Barn Farm at Boughton, a small village not quite three kilometres to the south-west of Eastmoor, killing all on board (Leading Aircraftman David George, Aircraftman 1st Class John Clarence Bailey from Beccles, Aircraftman 1st Class W Watson, Aircraftman 2nd Class William Henry Dye from Lowestoft, Aircraftman 2nd Class A Hardman, Aircraftman 2nd Class GHC Newman, and Sgt Summers). Remains of the aircraft were discovered in 1990. 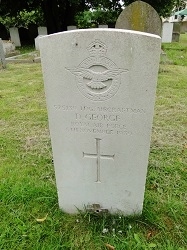 'Slim' Summers and D George are buried in Marham's Holy Trinity churchyard. 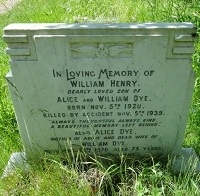 William Henry Dye's grave is in the Lowestoft (Normanston Drive) cemetery and John Clarence Bailey is buried in the Beccles municipal cemetery. On 16 June 1940, a Wellington Ic (P9249) of 38 Squadron crashed at the landing ground, injuring Aircraftman 1st Class Morecock and Aircraftman 2nd Class Norman, and killing Pilot Officer EW Plumb. On 20 November 1940, a Wellington of 38 Squadron piloted by Sergeant IN Robertson on a non-operational flight failed to maintain height on take-off and belly-landed in a field. The crew escaped unharmed. On 24 April 1941, a Wellington Ic (T2958) of 218 Squadron crashed on its return from a mission to Kiel. The crew (Sgt RJ Alexander, Sgt TAE Bradbury, Sgt EJ Chidgey, Sgt HG Huckle, Sgt Spilsbury and Sgt ES Spong) survived without coming to harm. On 7 September 1941, another Wellington (W5449) of 218 Squadron crashed on return from a mission to Berlin. The crew (Squadron Leader HL Price, F/Sgt Woodmason, St Giles, Sgt Riley Sgt Webber and one unnamed member of the crew were also unharmed. Not so lucky was a crew of 44 Squadron, based at RAF Waddington (Lincolnshire) and flying a Hampden I (Z2917). Their aircraft crashed at Barton Bendish on 6 August 1941 on return from a mission to the port of Calais, killing F/Sgt SD Yeomans, Sgt WJ McQuade, RCAF, Sgt DH Howe and Sgt CS Bradbury. On 28 August 1942, a Wellington III (Z1607) of 115 Squadron crashed on return from a mission to Nürnberg. The crew - Pilot Officer JW Berry, P/O GE Wallace, Sgt JT Harris, Sgt WK Bryant and Sgt J Goad - escaped unharmed. On 26/27 November 1943, after the landing ground had been closed for over a year, a Lancaster (DV295) of 636 Squadron based at RAF Wickenby in Lincolnshire tried to land at Marham but only got as far as Barton Bendish where it overshot the landing strip, killing all on board. They were F/Sgt KN Windus, RAAF; F/Sgt MA MacFarlane, RAAF; Sgt R Lloyd, Sgt CF Martin, Sgt RG May, Sgt Frederick William Thompson and Sgt K Welsh. 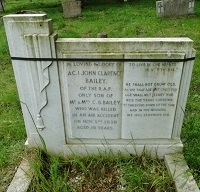 Five, including both Commonwealth airmen, are buried in Cambridge City Cemetery. Sgt Thompson and Sgt Welsh were taken to their homes for burial. Shortly after the aerodrome at RAF Downham Market > Link was opened in the summer of 1942 as Marham's new satellite, the landing ground at Eastmoor was abandoned. The reason for why it was not developed, like its parent station RAF Marham and a number of other aerodromes which towards the end of the war all received concrete runways to make them suitable for use by larger and heavier types of aircraft, was apparently because Eastmoor was considered to be too close to Marham. According to another source, Barton Bendish would have seemed to have been the Air Ministry's first choice initially, as it had already been earmarked for development, but on closer inspection was not considered capable of accommodating the new heavy bombers (Graham Smith in Norfolk's Airfields in the Second World War, 1994). The landing ground has long since reverted back to agriculture, and as it never had facilities for housing personnel - ground crews were reportedly transported by road or by air - there are also no remains of RAF buildings. The handful of Army huts accommodating the soldiers who guarded the airfield and operated its defence installations have long since been removed. According to Martin Bowman, the landing ground had also been used as a dummy airfield, with a flare-path in operation at night, unfortunately without mentioning the source of this information. Referring to a crash-landing at Barton Bendish which occurred on 20 November 1940, Bowman writes that it had been during this period that the airfield was used as a decoy site. This is, however, patently inconceivable, since satellite airfields were used to disperse their parent station's aircraft so as to minimise potential damage caused by enemy bombs. If a decoy airfield ever existed here, it would have had to have been at some time after the landing ground had been abandoned, since decoy sites were designed to draw enemy fire away from real aerodromes located in the area - an active aerodrome would hardly have wished to draw enemy attention to itself, but rather as far away from it as possible. Colin Dobinson in his book 'Fields of Deception', considered by many as the standard work on the subject of military as well as civilian WW2 decoy sites, does however make no mention of a decoy site at Barton Bendish, listing the three decoys for its parent station, RAF Marham, as 27a (Swaffham, Q/K), 27c (Wormegay, Q) and 27b (South Acre, Q), which are all accounted for. Martin Bowman would seem to have found his information in a booklet titled "Decoy Sites - Wartime Deception in Norfolk and Suffolk" and written by Huby Fairhead, the curator of the Norfolk and Suffolk Aviation Museum in Flixton: "One day in the summer or autumn of 1940, Mr Blythe, who was stationed at RAF Marham, decided to cycle to Barton Bendish landing ground, which he had heard about. On arrival there were no personnel to be seen so he walked up to the dispersed Wellingtons, and found to his amazement that they were dummies. These were wooden frames covered with fabric, and painted to represent real Wellingtons. Oddly, Barton Bendish does not appear on the official list of decoy sites and a farmer whose land bordered on the airfield saw only real Wellingtons there. However, the dummies may have only been assembled there for a few days to cover for 38 Squadron when it moved from Marham to the Middle East in November 1940." It would be interesting to learn why it would have been considered necessary to build a number of dummies in order to cover up a brief absence of real aircraft, when any real aircraft were reportedly pulled underneath trees to conceal them from enemy eyes. The author does not offer an explanation. Alan Quadling, Ernie Percival and others never observed the landing ground having been used as a dummy airfield; nor did they witness the construction of dummy aircraft, dummy aircraft substituting for real aircraft or any other unexplained activities, which would certainly not have escaped their attention considering that Alan's house, where he was born and where he has been living for 80-odd years, is situated across the road from it. Alan furthermore recalls that after the landing ground was closed, sections of concrete culvert pipes were laid out across it, that trenches were dug, and the outlines of hedges sprayed onto the ground. All these actions were obviously aimed at preventing enemy aircraft from landing, rather than tricking the enemy into believing that this was an active airfield. The public footpaths skirting the northern, western and southern perimeters offer good views across the former landing ground, which has long since reverted back to agricultural use. The path along the northern boundary turns off Eastmoor Road and follows a farm road leading west. At Field Barn it connects with another track, Fieldbarn Road, which leads in northerly direction and eventually emerges on Beachamwell Road. Continued in westerly direction, the path meets a farm track locally known as Middle Drove which it follows in south-easterly direction to a wood called The Channels. A narrow path skirts the wood's edge in easterly direction and, after passing The Moorsheds, skirts the southern edge of the landing ground before emerging once again on Eastmoor Road. The pictures below depict views taken from the footpaths and from Eastmoor Road, which forms the airfield's eastern border. My grateful thanks go first and foremost to Alan Quadling, without whom this article could not have been written in such detail. I am indebted to Jon Booty and Carnaby from the Airfield Research Group > Link for providing valuable information about airfield lighting. Many thanks to Richard Bailey, the manager of Hill Farm, for confirming the location of one of the air raid shelters, and for his kind permission to photograph the sites of a WW2 gun emplacement and an air raid shelter on Hill Farm.